From sales to installations, service and repairs, look no further than Wellington Dock & Door. Whether you need assistance for a residential, commercial or industrial property, our top tier technicians are accredited and trained and ready to provide quick and effective solutions. In house commercial and industrial Electrical Services from our certified electricians. We provide repairs, troubleshooting and connections for all types of loading docks, overhead doors and other commercial and industrial equipment. Anyone operating a business or property knows that failure of any door, dock or gate system can create a business-critical issue that needs to be resolved fast. 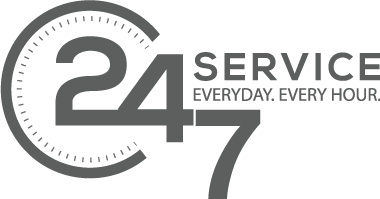 Our service department stands ready 24 hours a day, seven days a week, year round if there are ever any problems. With our experienced staff we can provide complete loading dock and overhead door installations. Our technicians are also able to install gates and other commercial and industrial equipment. Your garage door is an important component of your home or business, and as such, deserves a few minutes of your time each year to ensure its long-term reliability. There's nothing quite like SafedoorPM in the industry. They've gathered, reviewed and vetted thousands of pages of technical documents to build a knowledge-base and expert system of manufacturers' maintenance practices and safety standards. They call this knowledge-base, DEXSYS (door expert system), and they're adding to it every day. As a garage door manufacturer they continue to grow with a dedicated purpose - to provide their customers with the very best in garage doors and service. Striving for success, they continually work to improve their products and manufacturing process one door at a time. For over 45 years LiftMaster has been exceeding expectations by providing peace of mind through expert services and innovative solutions. Liftmaster continues to design products that make access easier, and put you in control of how you come and go. Liftmasters latest advances like MyQ® Technology, Security+ 2.0™, Battery Backup and specially designed P3 Motors™ allow their products to best serve your specific needs while keeping you safe and connected at all times. Pentalift provides a complete line of mechanical, air powered and hydraulic dock levelers, vehicle restraint safety systems dock seals and dock lifts. 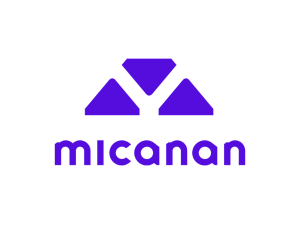 Founded in 1999, Micanan is based in Montreal, Canada and proudly serves the North American door market.